etsy shop tips: is etsy the right platform for your creative biz? Etsy has become the internet's go-to marketplace for handmade goods, craft supplies, and vintage awesomeness. If you're a creative soul who likes to make, curate, and profit from your talents, you might be wondering if Etsy is the right place for you to get started. Spoiler alert: my personal opinion is "HECK YES"! 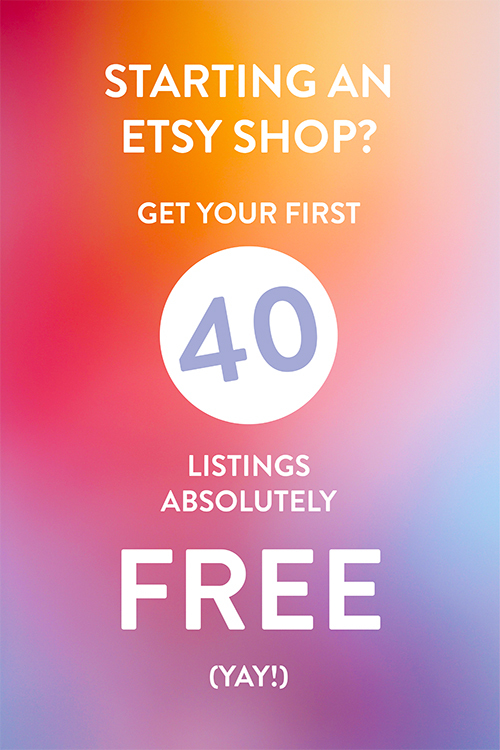 Here are just a few reasons why Etsy is absolutely the right platform for a beginning seller. 1. Etsy has a built in audience of over 56 million users just waiting to become your most loyal customers and fans. 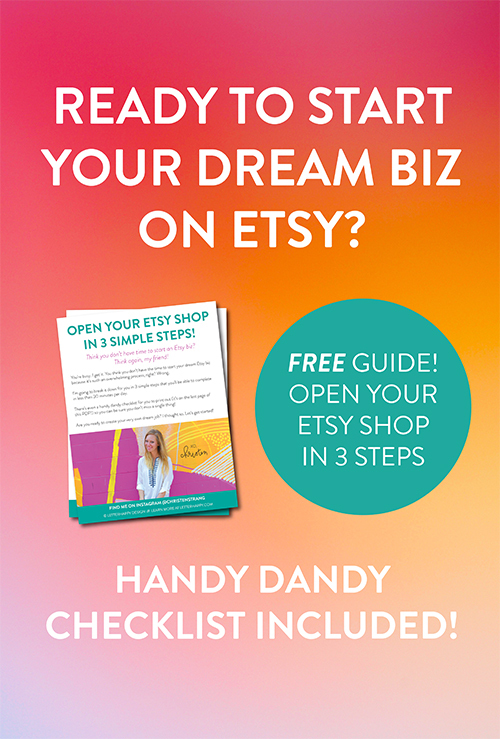 If you're just starting out and don't have much of a social media presence to drive traffic to your own standalone website, Etsy is a total no brainer. 2. It's super inexpensive. A mere $0.20 will get you a listing, complete with 5 slots for photos, a 140 character title, a description, and 13 tags. And it won't expire for FOUR MONTHS. That's a cheap piece of online real estate. When you actually sell an item, Etsy takes a small fee of 3.5% (off the item price, not including shipping), and your payment processor will take a bit as well. Etsy lets you choose between PayPal and their own Direct Checkout system where customers can enter their credit cards without having to create a PayPal account. 3. It's basically a household name. I remember when I started on Etsy in 2009, I would ask people if they had heard of the website, and they'd look at me all funny. Today, when you say the name "Etsy", people know what you're talking about and they've usually even spent time browsing or buying. 4. Etsy is a global marketplace. That means that you'll end up with customers from places you've only dreamed about visiting. Your goods will be seen by the entire world, instead of just your local craft fair visitors. 5. You don't have to be a tech genius to run your shop on Etsy. It's so darn easy to set up - no web design background or coding required. My very un-techy aunt runs a super successful vintage shop, and trust me.. if she can do it, SO CAN YOU! 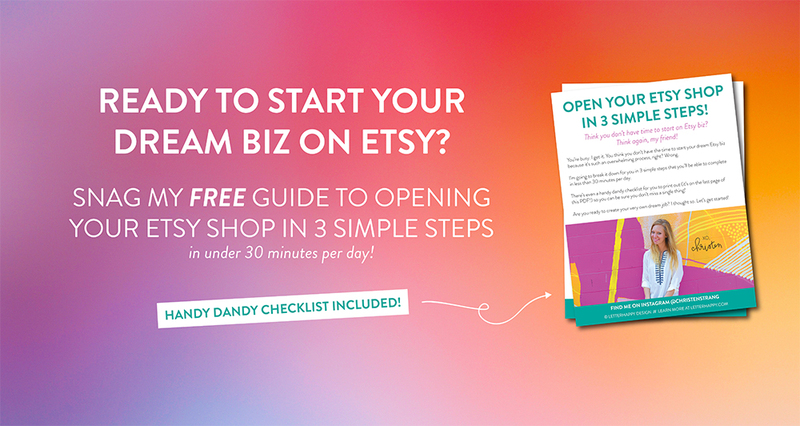 So, is Etsy the right platform for your creative biz?